ACS recruitment was established in 1983 providing full-time, part-time, temporary and permanent positions within Accounts, Clerical & Secretarial. 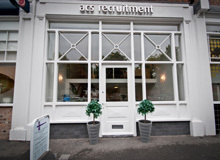 Thus bringing the brand Acs Recruitment Consultants to Liverpool. We have a strong relationship with many Legal firms, and we pride ourselves on assisting with the development of these companies as we understand that finding the right staff can help the development of your Company. ACs Has built it’s reputation on achieving high standards, quality and understanding our clients/candidates needs and requirements. We understand the importance of finding the right fit for you! There are now different ways of now contacting Acs: Telephone, Email, Facebook, Linkedin and Twitter.